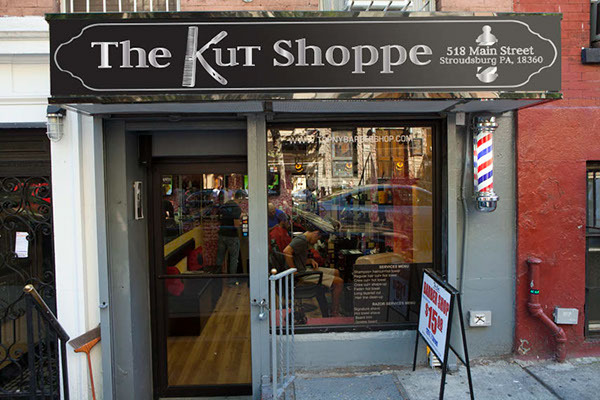 The Kut Shoppe. 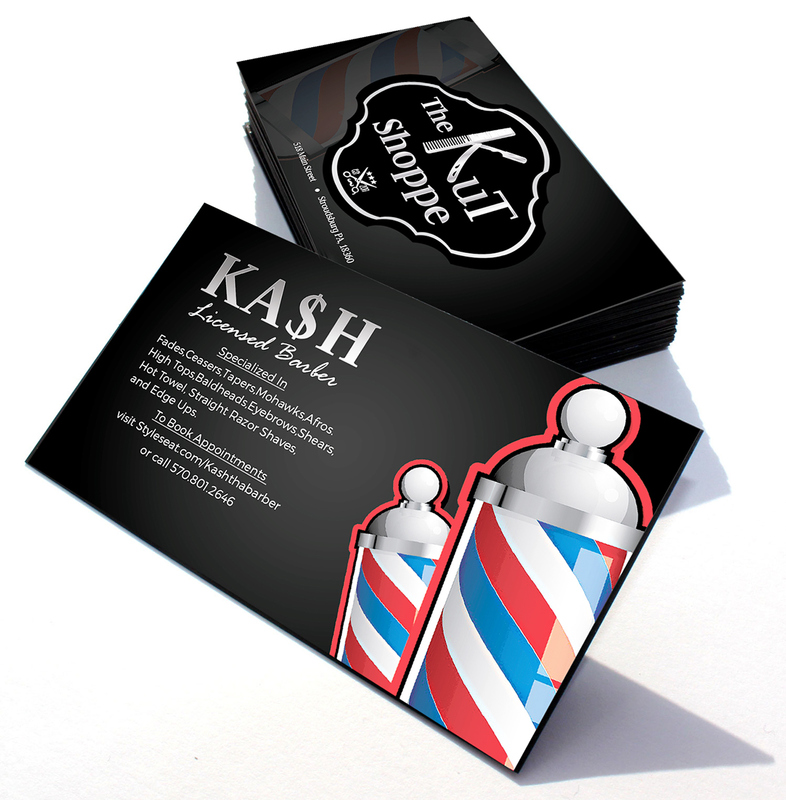 Is a upcoming barbershop in the local area. He requested a new logo for his store front, new business cards, referral card and store front banner. 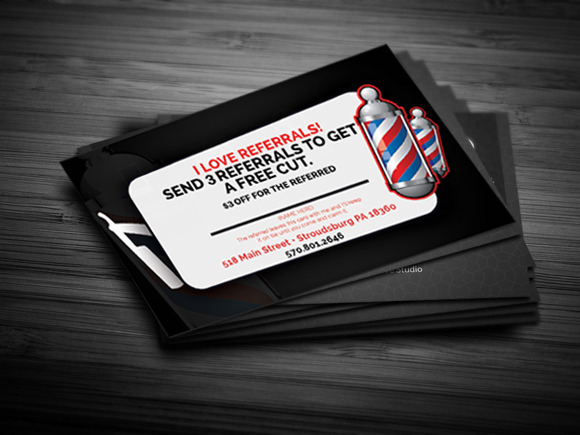 Customer who are referred to the shop will hand this card to the barbershop to recieved $3 off their hair cut, and if the referred three other customer they'll get a free hair cut. 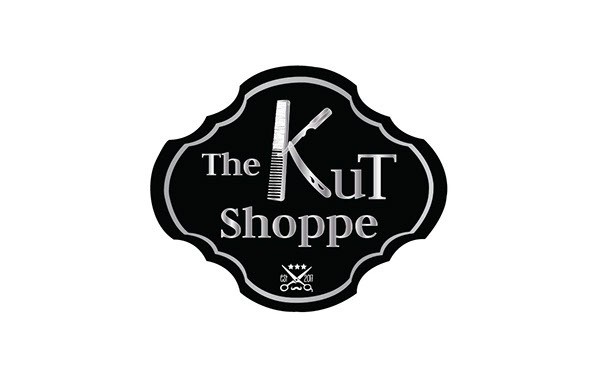 A logo a barbershop located in PA. Along with it business card and store front banner.